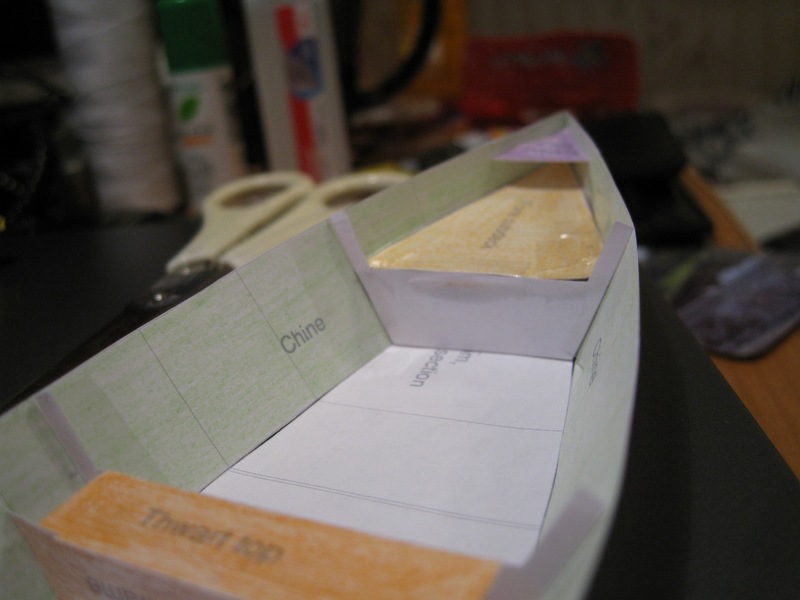 This a page of links to some favourite free boat plans at intheboatshed.net. They’ve been chosen because they are derived from traditional boats, or in some cases simply for their usefulness. There are quite a few here, but you’ll find still more in the intheboatshed.net weblog using the search gadget. If you find anything you feel I should add, please let me know at gmatkin@gmail.com. PLEASE ALWAYS USE THE LATEST VERSION WHICH WILL CONTAIN ANY CORRECTIONS THAT HAVE BEEN BROUGHT TO THE DESIGNERS ATTENTION. 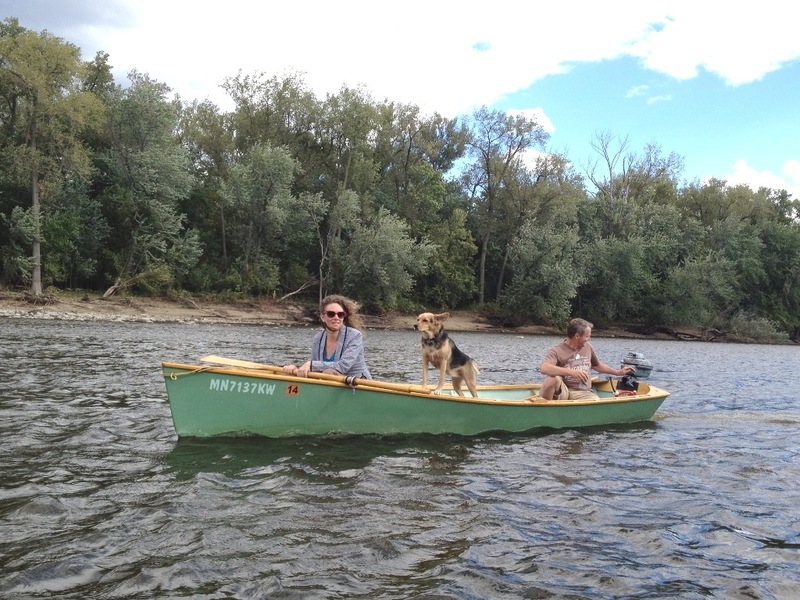 See a short video of Brian’s boat in action using a 3.5hp outboard at 6knots or so. Note the near complete lack of wake, which should indicate that the boat’s working efficiently. 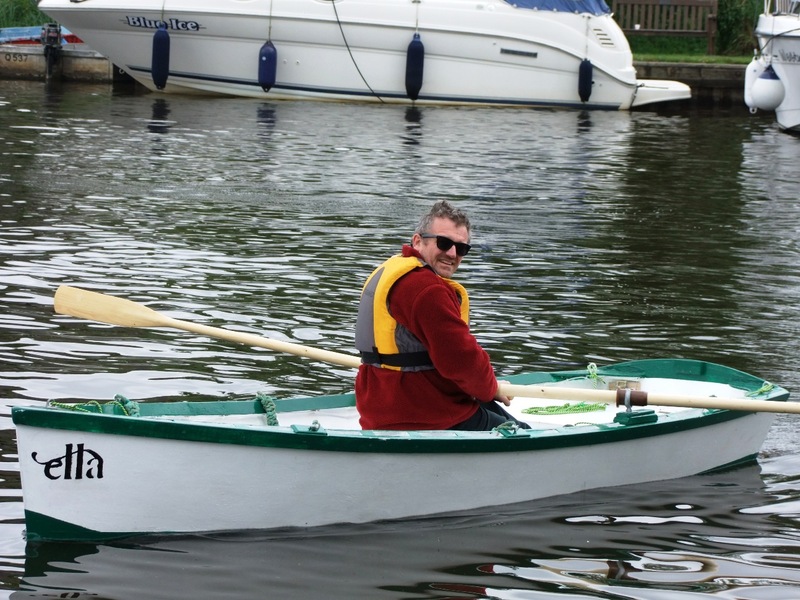 – The 14ft Sunny skiff – get the plans for this easy to build lightweight rowing boat here. 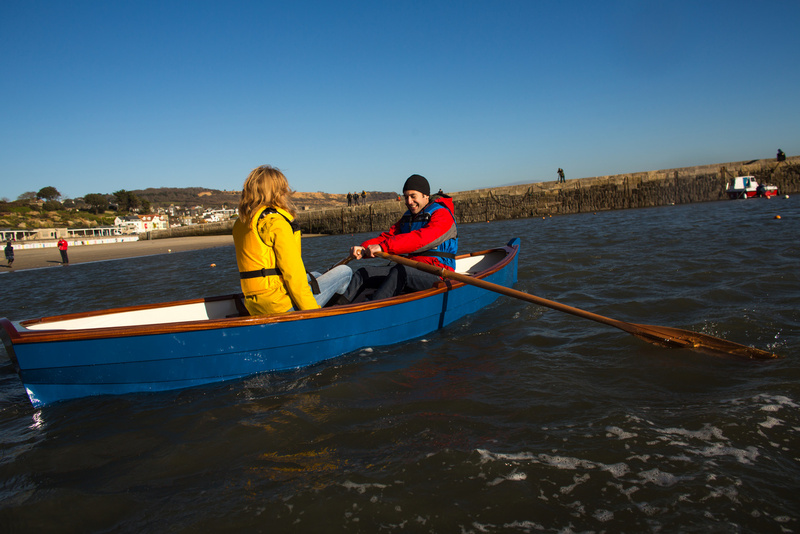 – The 12ft Ella skiff – get the plans for this easy to build lightweight rowing boat here. 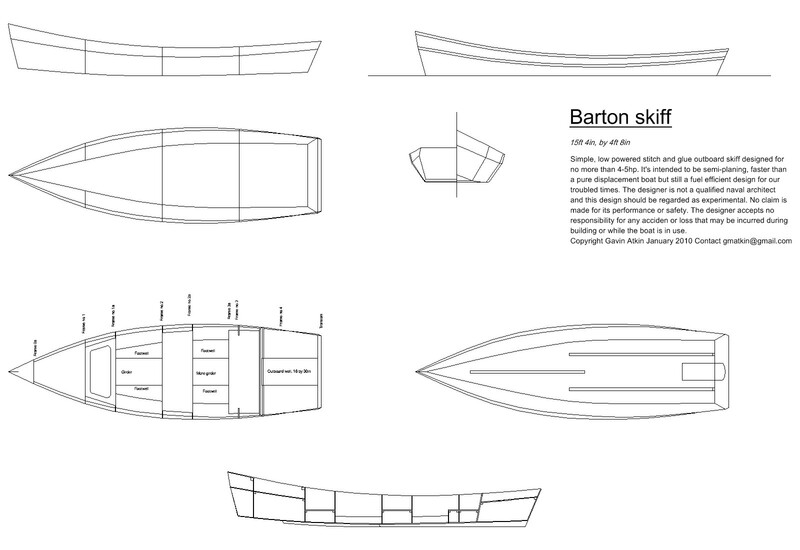 – The sailing version of the Ella skiff – get the plans here (now in version 1.2). 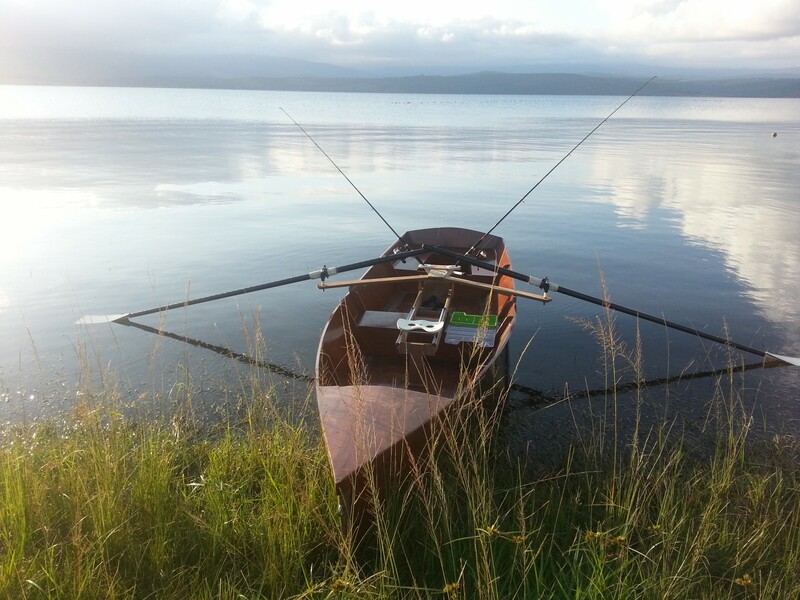 intheboatshed.net skiff – photos of our model, and maybe yours too? 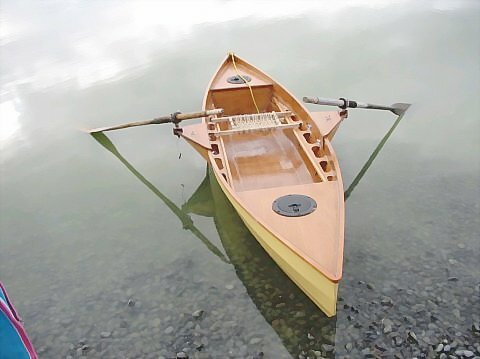 I think this is a nice small open paddler, but bouyancy tanks or bags would be a essential if you’re going to do more than paddle in narrow rivers or small shallow lakes. 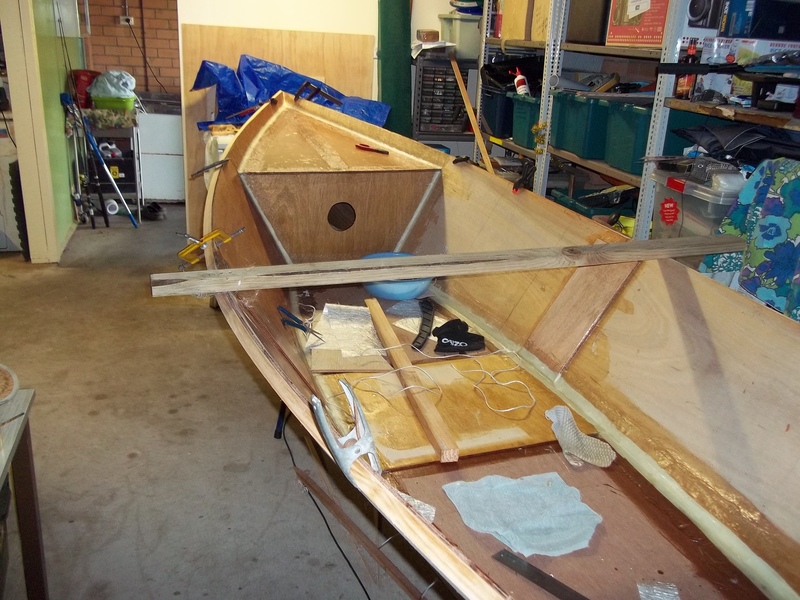 Chappelle’s 14ft skiff – another candidate for the 2008 boatbuilding season? 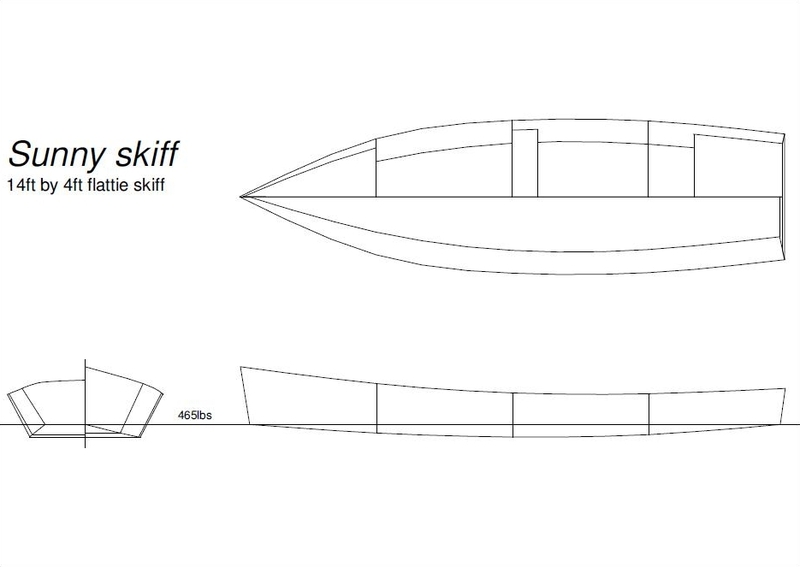 Boatbuilding plans for the Black Skiff have been designed and made available for free by Mark Wallace – he says all he asks for is to be given the credit for designing the boat. I think it’s an elegant design. The plans are not likely to be the easiest for first-time boatbuilders to follow, but it would be well worth picking the required skills up by reading one of the classic books on this kind of boatbuilding. See theIntheboatshed.net Amazon bookshop for something suitable. Mark ways she’s a strong light-weight boat loosely with strong links to Scandinavian types. 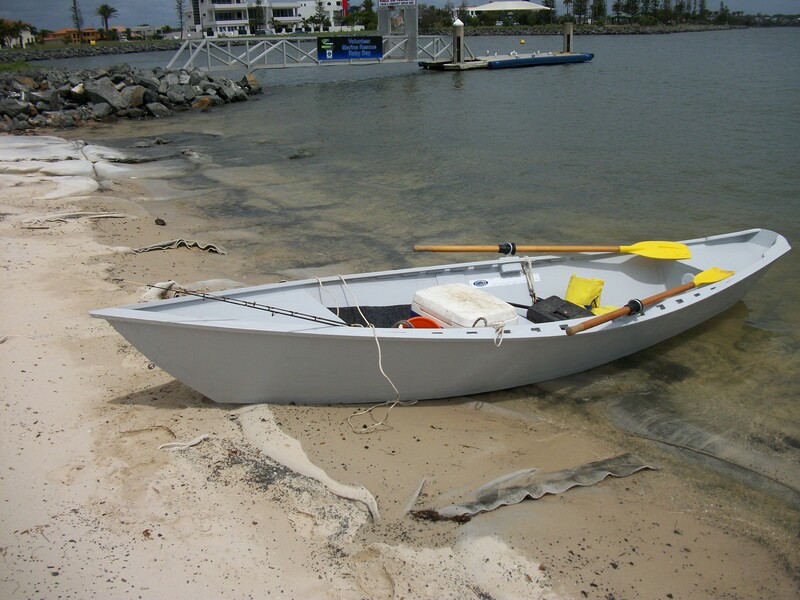 She proven to be an excellent rower, has a capacity of four adults and has a flat bottom for easy beaching. By the way, don’t miss Mark’s impressive collection of testimonials. 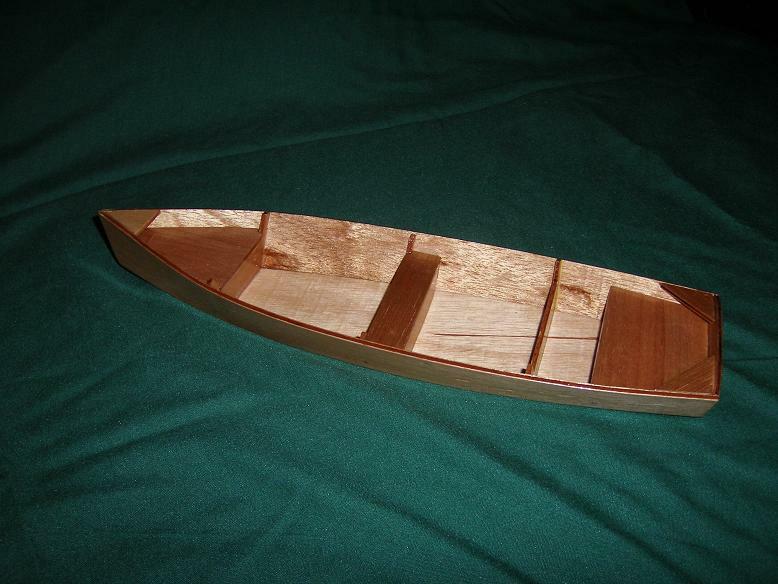 As my mind turns to building MY first boat during the winter months, I browsed and found many sites and such. Yours has been a great place to see and feed that desire. Thank you for your site. I live on a river that empties into the Matagorda bay, here in Texas, and the wind blows regular like crazy. 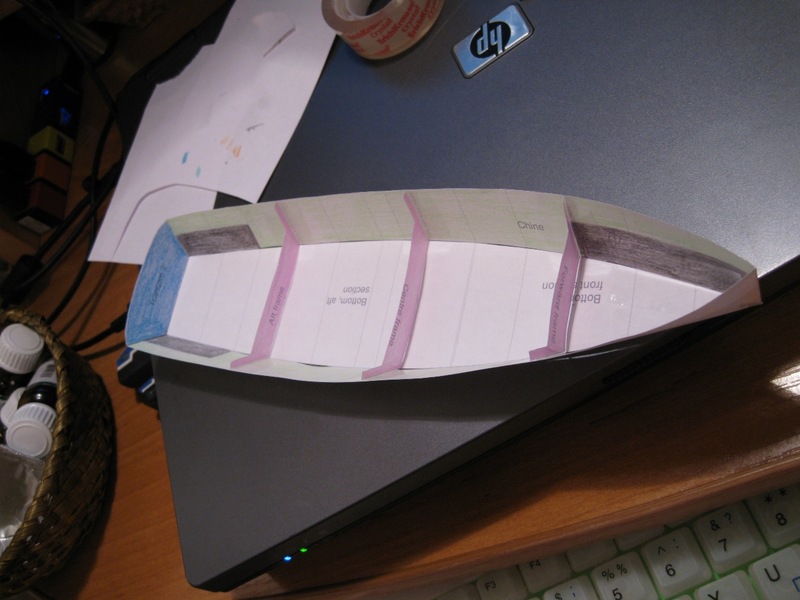 But, I think that I found my first boat in the information given here on your site. Wish me luck!!! The water might be shallow here on the river but the mud is VERY deep. I'll be sure to send you photos and let you know how it all turns out. Again, thank you. 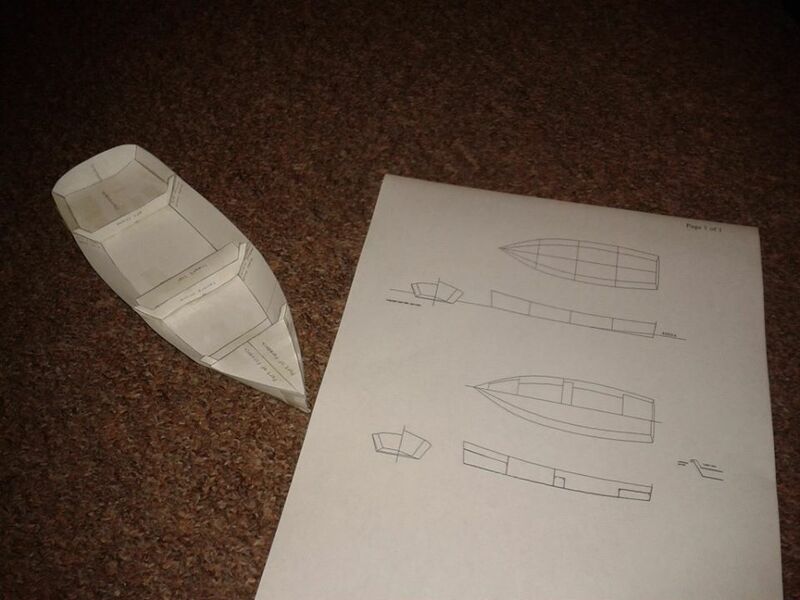 Glad to be of help Charli – which boat are you planning to build for your first boatbuilding project? 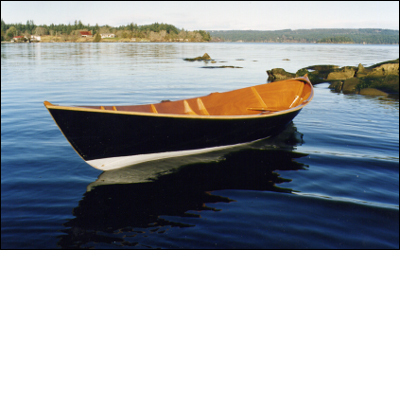 Hey, I am hoping to build the julie skiff for my first boat. I made the model last night but i am unsure on how it scales up, i downloaded the zip file and i am unsure on how to use your co-ordinates, please help! 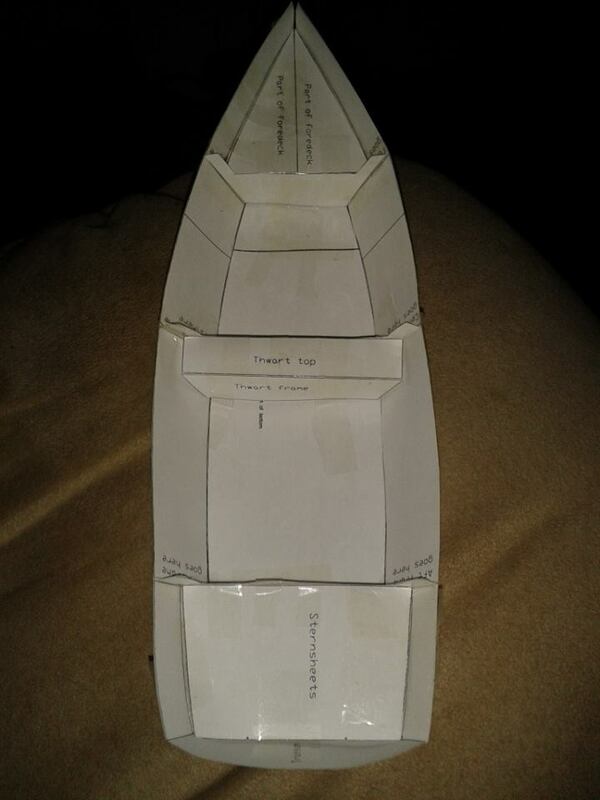 It's late and I have a date with a pillow, but I'd delighted you're interested in building this boat. The coordinates work like this. The letters label the many 'significant' points on the drawings, often they are points where two different lines join. The coordinates are pairs of numbers, as you'll have noticed, and each pair defines a particular single point on the ply. 3 1/8 defines a line parallel to the left-hand edge that is 3 1/8in in from the edge, while 6 1/2 defines a line parallel to the bottom that is 6 1/2 up from the bottom. The point being defined is where the two cross! There are a lot of points to plot, and when they have been plotted, you have to join the dots to make a complete drawing, as it were. Does that help? If not, if you know someone with some background in maths should be able to sort it out for you using pencil and paper. 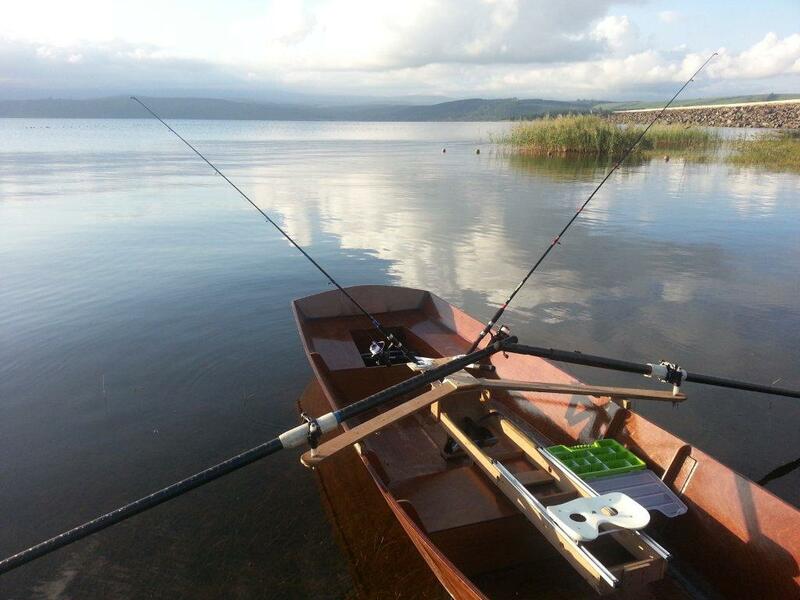 Hey, I am 14 years old and plan on constructing a skiff for fishing. 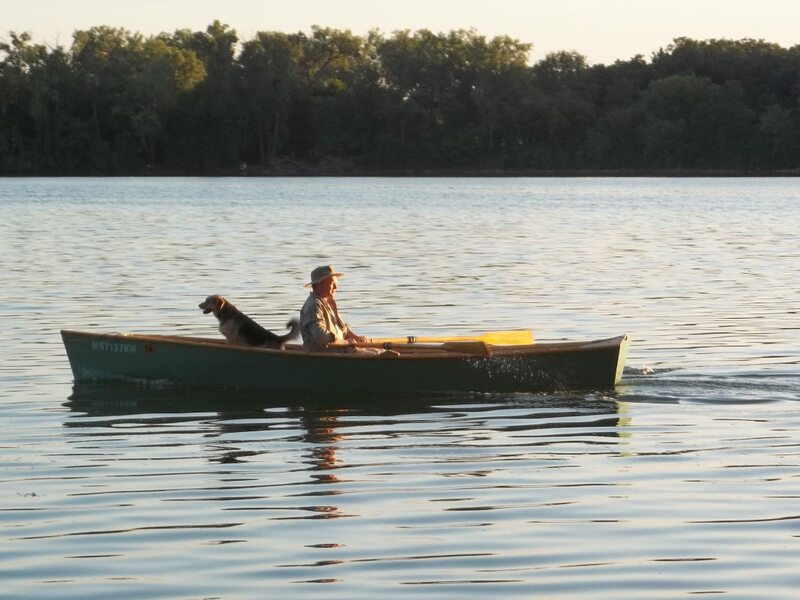 My grandpa has a Bachelors in Drafting and is very good with wood and we have all the tools, so I was wondering, do you think you could work with me on designing a boat if you have the time? I have a few ideas in mind and I'm starting to put them down on paper. By helping I mean could you tell me what I would need for the design I have? Thank you for such a great website! Like I said, only if you have time and are interested. There's a great little book entitled How to design a boat by John Teale – if you can find it, I think it will be very useful. I have actually managed to maneuver my way over to Duckworks Magazine through your site, and they have been very helpful over there! Excellent news – I'm sorry I'm in no position to help myself at the moment. it's quite alright Gavin, you have been of help though. Your hard work in putting this site together has payed off for me and many others! 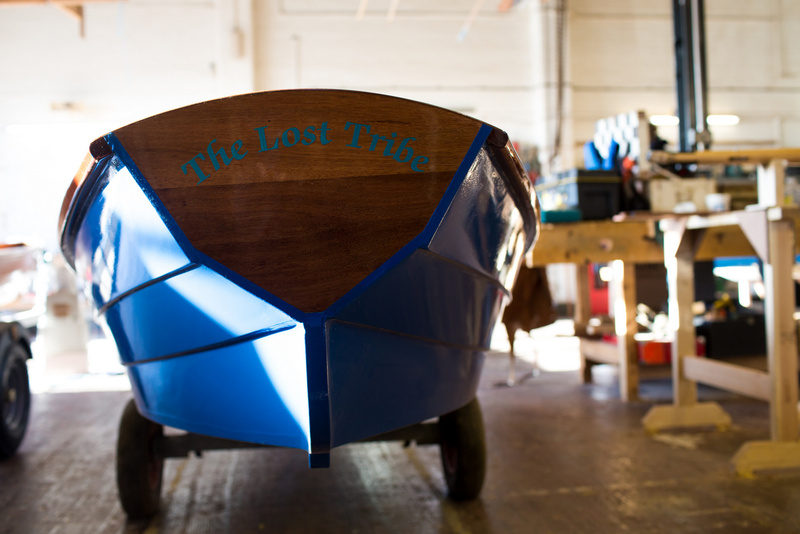 Hi Gavin, Many thanks for all that you've done for potential DIY Boat Builders, like myself! Look forward to the new adventure. Hi there, a little advice please. my brother and I have a 3 year plan. My kids will both be teenagers in 3 years time. My brother is the sailor in the family (the brains) I am the canoeist and rower (used to be the brawn now a little slack around the middle). We want to build a boat that we can sail both on lakes and lochs and when the kids are teenagers we can take up the west coast of Scotland for extended touring holidays – ideally both camping and sleeping on the boat. At the moment the kids sail mirror dingy and are very keen to help in the build. My brother and i really like the looks of norse double enders and are taken with the caledonian yawl. 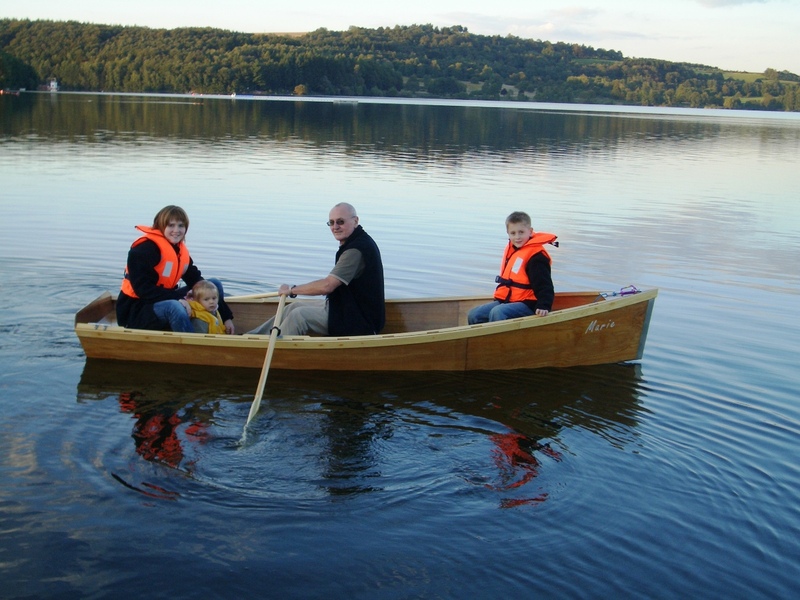 Problem our woodworking skills are basic DIY – we've built sheds and summerhouses but would like some info on what we should expect from a project like this and what your thoughts are about choice of boat for our requirements. Everyone you talk to will give you a different answer. If you're tendency is to craftsmanship, I'm sure you can build a Caledonian Yawl, but might benefit from building something simpler first. If it isn't, I'd suggest you don't even go there! I'd also say that by the time they're teenagers, your kids are unlikely to want to sail with Dad, and probably not for days at a time – your kids may be different but my experience is that what they enjoy most is being skipper of their own ship in the company of others in similar boats. That way, they don't have to follow orders or watch Dad do the interesting stuff, and they can race each other, chase each other, play at capsizing, flirt and all the rest of the stuff kids that age do. If you want them to be interested in boating and particularly sailing long term, I think the best advice is to find a sailing club that does this sort of thing well. I should add that home built boats are for individualists, which counts out most teenage kids. 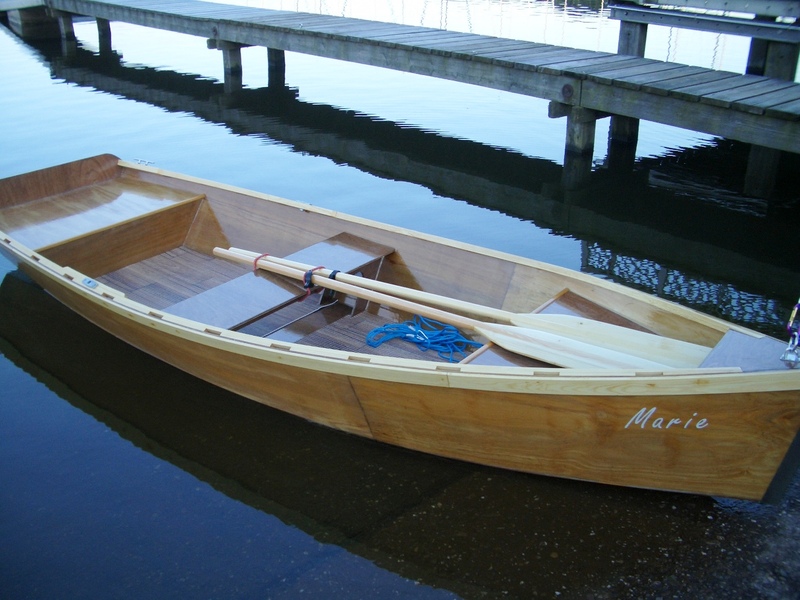 So if you would like to dabble in the noble art of boatbuilding, I'd suggest making something simple that you'll never regret owning and which will add a fun dimension to picnics on the river or to the seaside. 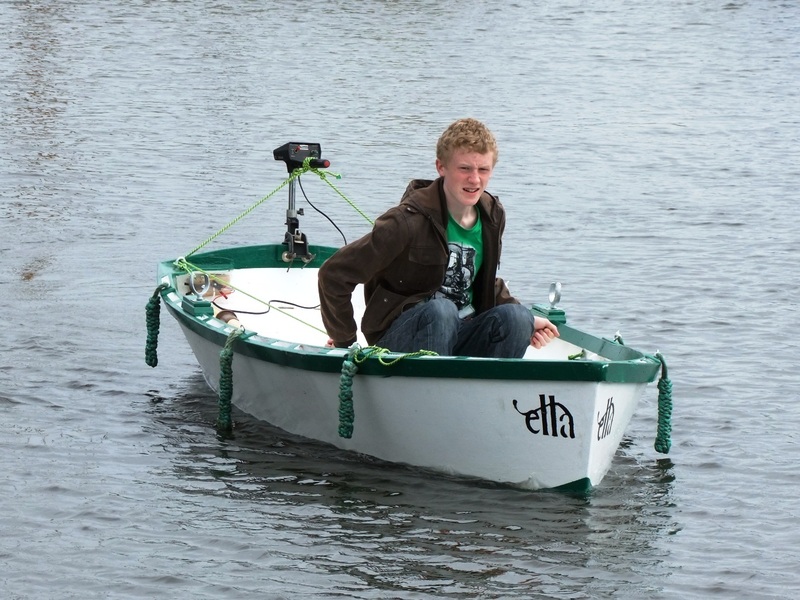 I'm thinking of a lightweight little rowing boat like the Ella by the way! Hope that helps a little and doesn't seem too partial! Not sure if anyone can help but I'm looking to build a model of bawley cockler. Does anyone know where I can get plans to achieve this. Thank you all in appreciation. Great website and info. 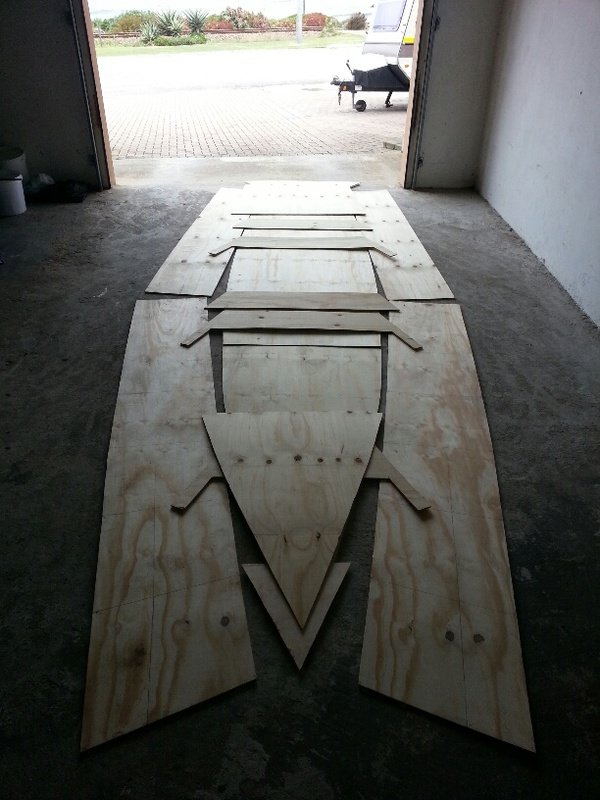 Are you selling plans for a large (or small) scale model of the Iain Oughtred designed St. Ayles Skiff? 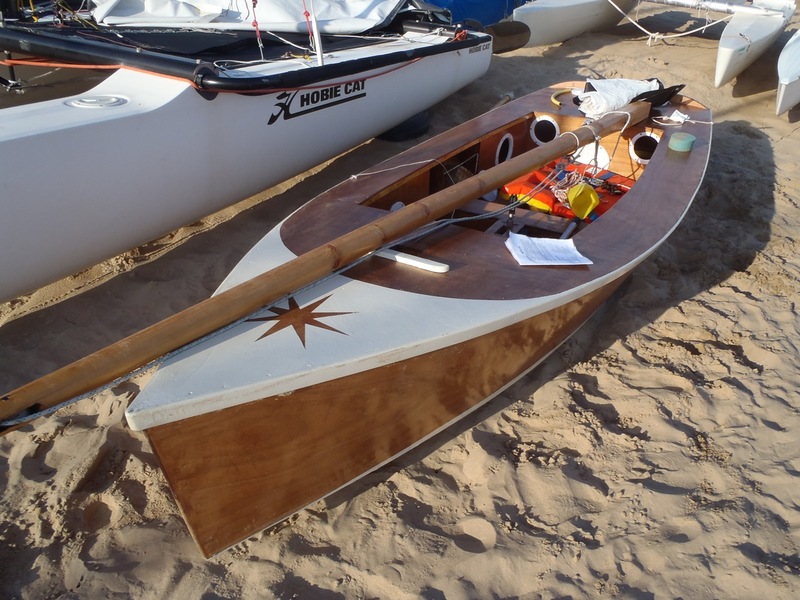 This was the one that Alec Jordan built for the Scottish Coastal Rowing Project (as seen in Water Craft magazine Jan/Feb 2010). I'm located in the United States. I'm sorry Jimmy – I don't sell plans, at least not currently. Check my posts for a link to the Jordan site and ask him. He might be persuaded that the St Ayles skiff is now such a celebrity that he could successfully model kits. Hi, I've been trying to download the free plans for the flying mouse without success.Can anyone please sent me a copy that I can just print off.Thanks most appreciated. I'm delighted you're building one of these boats. Please keep in touch – I'll be pleased to help in any way I can. If the added weight is no problem to you, then it won't trouble the designer! The only thing I'd say is that I've never needed laminated such a large area and if I did so I'd want to know (i) how to eliminate bubbles and (ii) how to make sure those that do creep in are there are well sealed. 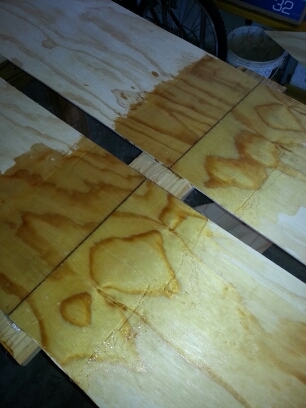 The second part may be easy – perhaps all you have to do is to make sure you coat both sides of the joint well, I suppose, but the first part is something that would make me turn to the forums for advice from someone who has done it a few times. I'd like to help Julian – but can you tell me anything more about the boat you're looking for? What was it that interested you? Was there a link to some plans? Did it have accommodation? 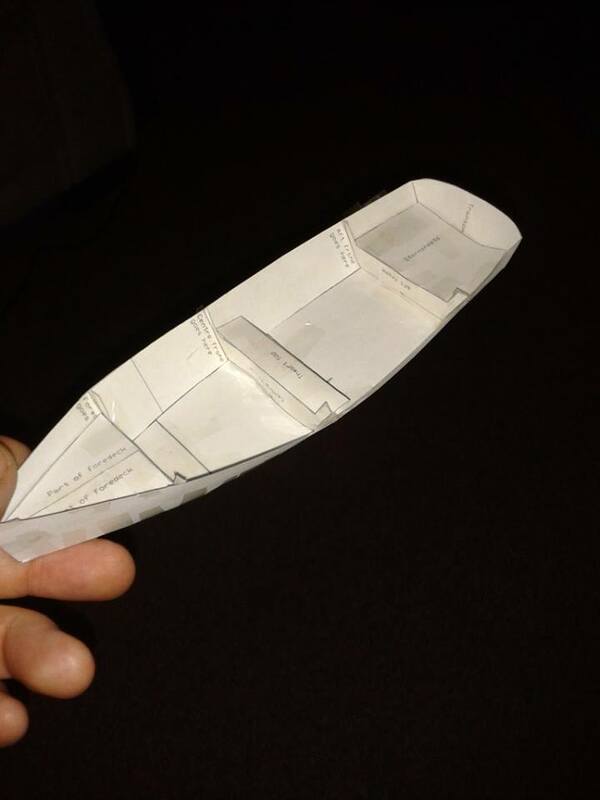 All the information about this boat that appears in the book is in the post. If you found the particular edition of the Motor Boat Manual concerned (I can't remember which it is), you would not have any more information. I have written to you directly. I need a flat bottom dolly boat design could you please make one? I'm sorry but I don't understand the request. What's a dolly boat? Or do you mean boat dolly? 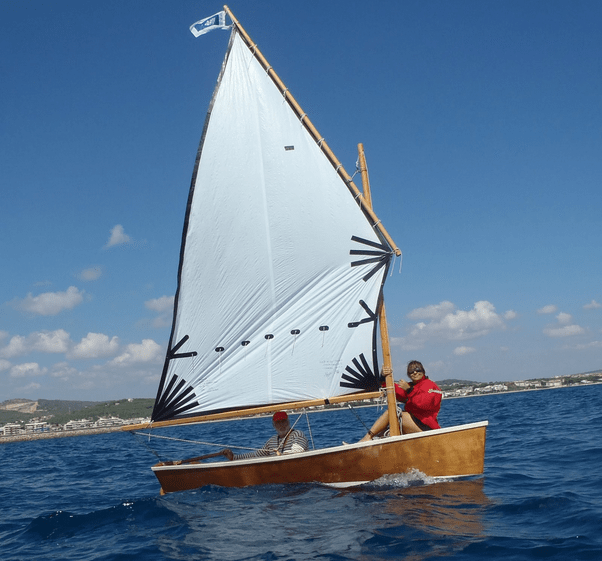 Hello Gavin, I have started to build a Barton Skiff and would love to put sails to this boat, please could you suggest a simple rig that I could use as I think it would set my boat off. Maybe also could you suggest the position of the mast. I'm delighted to hear that you're building this boat, and would very much like to follow your progress and provide whatever help seems to be required. Where are you? 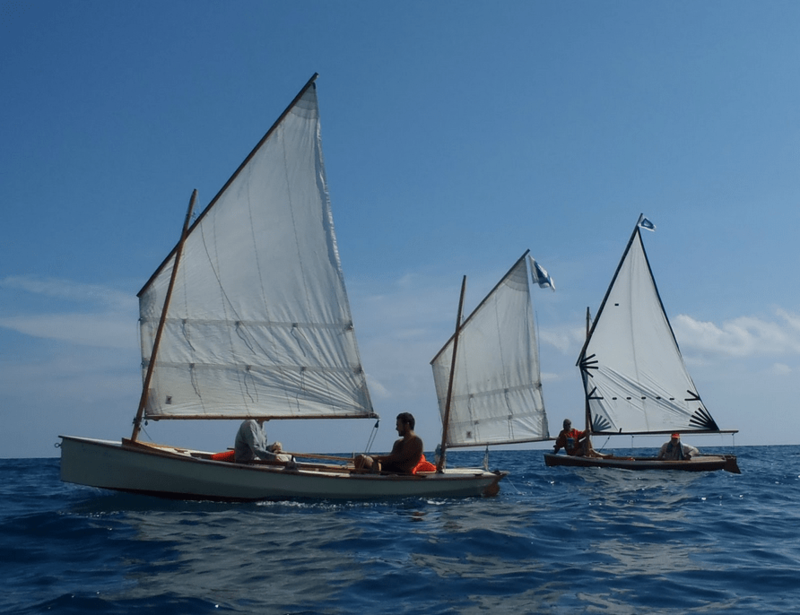 However, the Barton skiff is really not intended to be a sailer – it's got the wrong kind of hull, particularly for upwind sailing. 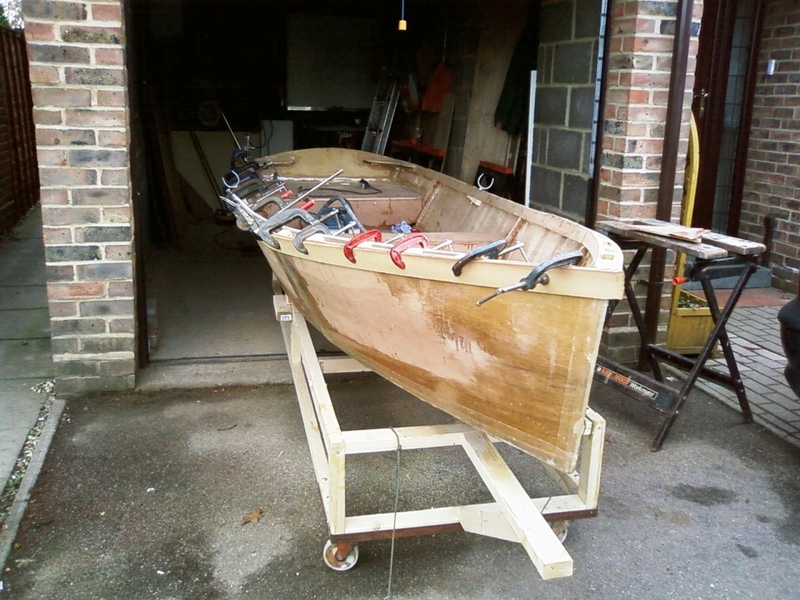 Also, I'd strongly suggest joining the gmaboatbuilders yahoogroup and reading through the experiences of Brian and Charles, who have both built the Barton skiff, and the correspondence will include some useful bits of advice. Gavin, I am on the North coast of Northern Ireland, from a small town called Coleraine about 5 minutes from the sea. I like the sound of the mast about 9 ft as my lathe has a 3 ft bed and I would turn it in three sections and have two cross members one at 3 ft and the bottom one at 5 ft with a cool red sail. I am a carpenter by trade so the woodwork side should be sorted. I am finishing all gunwales and finishing work with Mahogany and varnish with a green hull so it should be the best looking boat sitting in our bay. This all sounds good anyway. Sorry to bother you again as I have just realised that sailing this boat will not work ( you can tell I am a novice ). Your idea about a small mast, nav lights sounds real good so I think I will run with that. Work is progressing well. Gavin, where would you position the small mast and what size, diameter etc do you think would look good. Hope to get some photos soon, the delay has been because daughter took my camera of to University and left us without one. Oh my gosh… Attached to the forward bulkhead, three times as high as the sheer, maybe 4 (side to side) by 5in (fore and aft) tapering to 4 by 4 or 3.5 by 3.5 from the front or back to taste, with a small cross tree about two thirds of the way from the sheeline to the top. That's my first guess, based on (an easy place to site it) and the rule of threes that works for most things! I've just remembered that you want to hang a sail from this mast – so forget the cross tree, make the dimensions an inch thicker each way, and make the mast about 10-12ft high. What sort of sail are you thinking of? I'd suggest a spritsail, or maybe a squaresail. You will of course need a rudder too! There's a fair amount of geometry involved in placing a sailing rig, so I guess this will be a largely downwind sail. 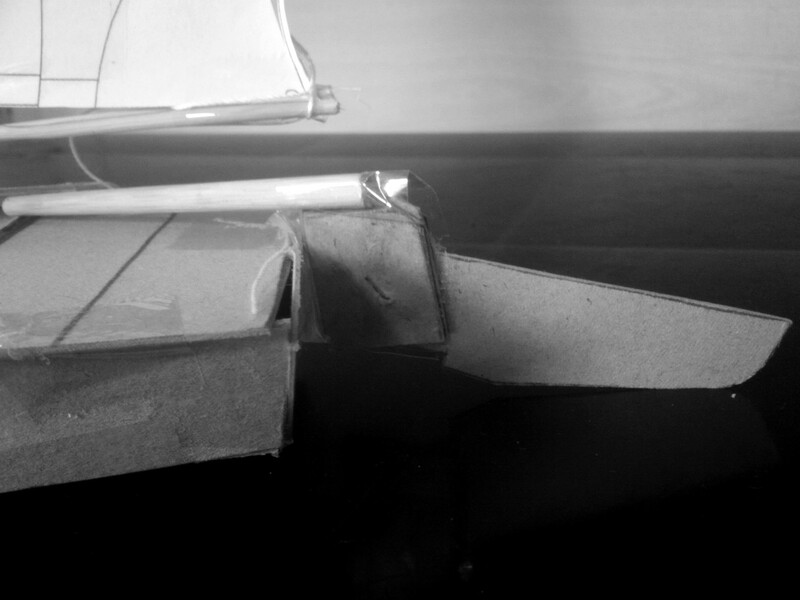 Hi Gavin, just to let you know I have started to sheet the hull and things are getting exiting to see the shape come together. Bloody marvellous. Please stay in close touch! Gavin, Have finished sheeting bottom of hull and today before weather turned real bad I laminated Mahogany and Ash strips to the transom on the outside and it looks real good. 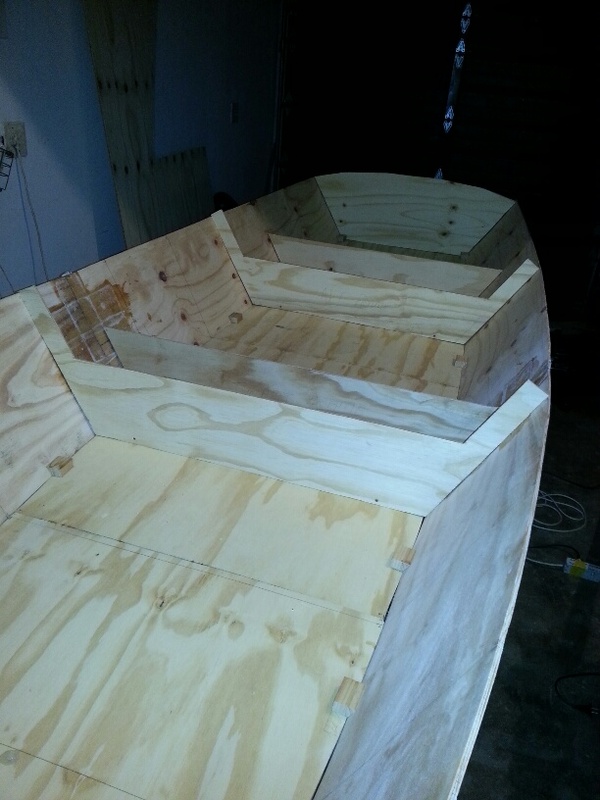 Hope to sand down tomorrow and coat with epoxy to seal then finish the hull with ply before Xmas. Have set my launch date for Easter in Portrush so will be busy after Xmas. Bought an outboard last week and an engineering friend is stripping and rebuilding it for me and also restoring the paintwork to make as new. It is a small vintage 4 stroke as I do love working with old motors. I came to this site to answer the trunnell boat query, but noticed this page. With another hat on I run the Eventide Owners Group website. We have a host of practical seaworthy craft drawings available, designed by Gibbs, Buchanan and Griffiths, plus others, many have sailed far and wide. 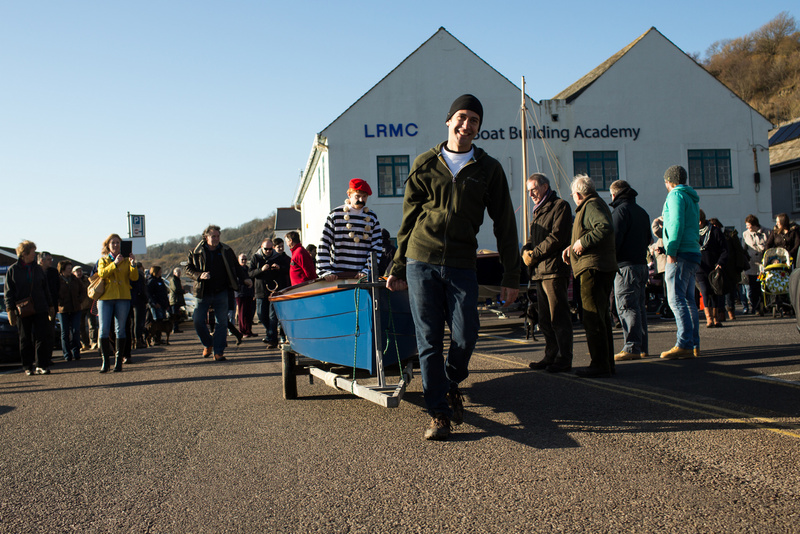 We pass on to anyone in our group, the drawings of all our boats , and membership is free, you just have to enrol. Each is on a CD and we do this at cost, £5.00 inc P&P UK and a little more for overseas. Visit the site to see more, we just want to keep these designs alive! 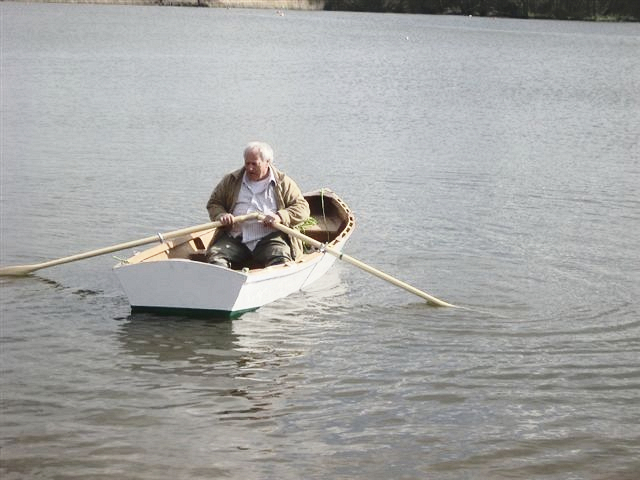 Hello Gavin, my Barton skiff is now finished and is being launched this weekend. Iam so proud of her and I think she looks wonderful. I went with small mast and I added my own thoughts of what I wanted to make her look like. I will send photos and hopefully speak soon. Hi Gavin, well here I go again. I am thinking of building the Bluestone Schooner this winter as I am getting a berth in Portrush harbour and I think she will be the boat for me. Do I just download the plans again or can you send me a copy? what a marvellous site. 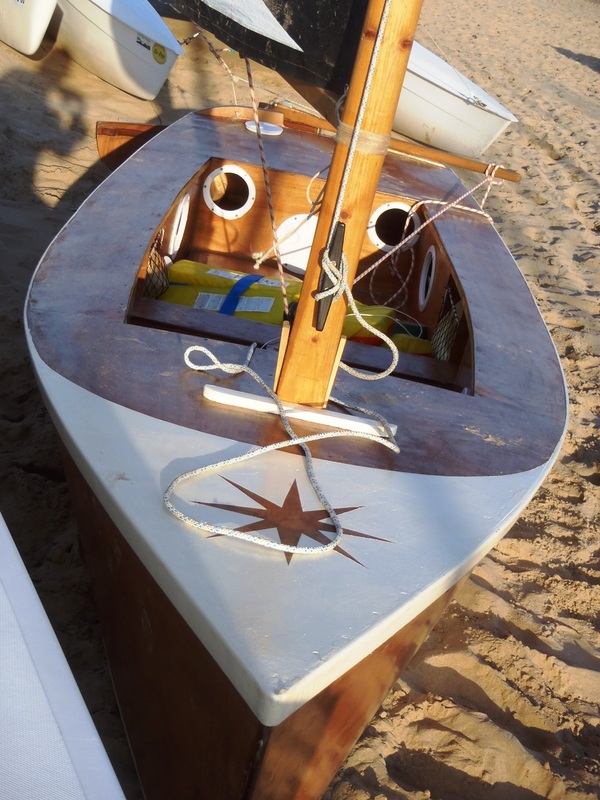 intend retiring to goa next year or so,i am a retired joiner so i fancy building a boat for fishing in goa, any advice and plans would be gratefully recieved. Great Site. 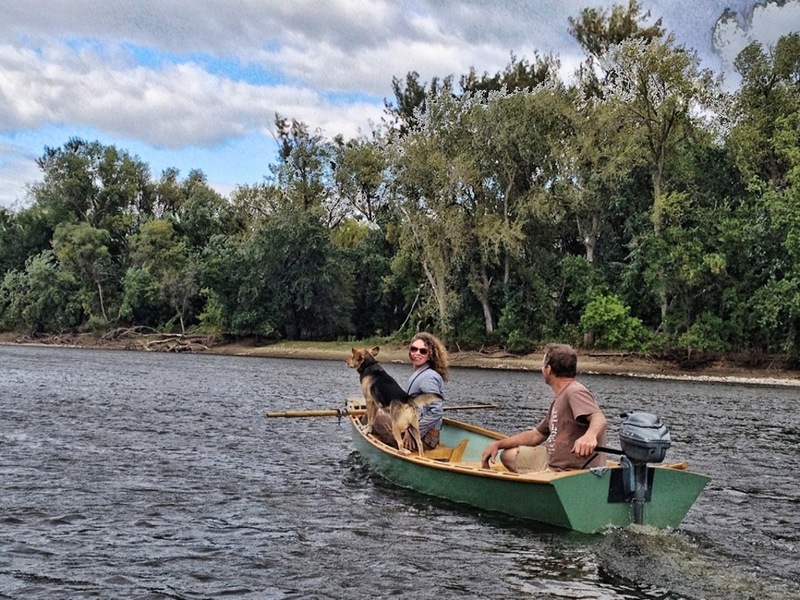 I am considering building a canoe or small boat. Preference is for a paddler, but I might also attach a sail on occasion. Usage would be on lakes, and such. I doubt we would ever carry more than an ice chest. Most common use would be fishing and wildlife watching. Would the Cinderella be too small for tandem use at only 12 feet. The Cinderella is a great, fun little boat, but is definitely a one person canoe, unless those involved are about 11 years old! I am looking to build a waterwag! I have a really old mold but am looking for plans so I can make this one lighter. I will have it professionally made so I dont think the complexity of the plans should be an issue. Do you know where I could get these plans? Congratulations on a fantastic website. I think I also remember that there are lines drawings in Dixon Kemp, but I don’t recall how much detail is included. 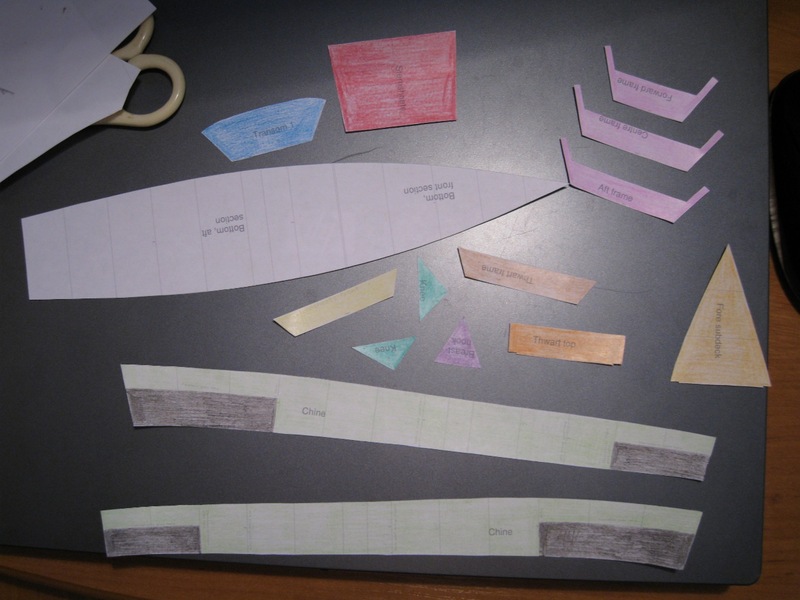 Hi, i´m studying to become a boat builder, and as part of my first exam i want to make a stitch and glue project. I have three weeks of around 35 hours. 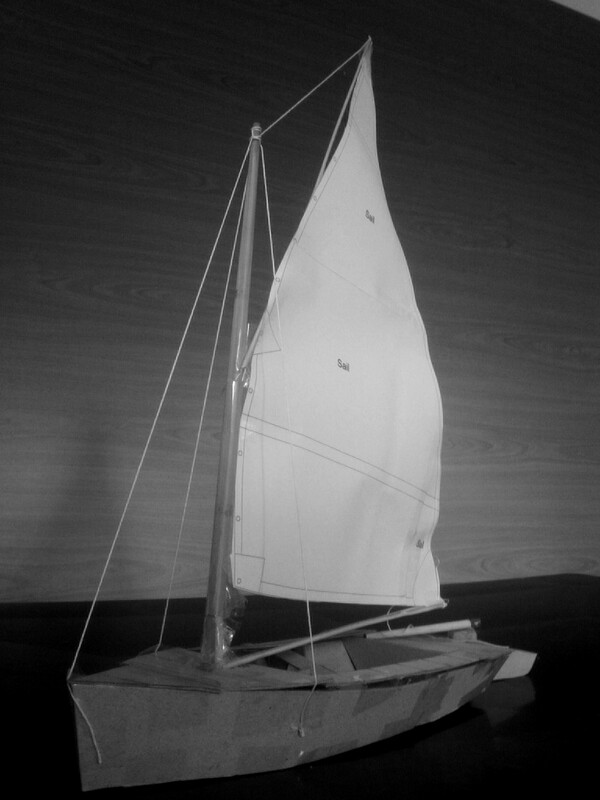 I was wondering if you could advice me if building the sailing skiff in that time, could be possible. I have somewhat novice skills working with wood, but I am adept at powertools in general and have worked a lot with glasfiber and epoxy shaping, sanding, finishing etc. Hope to hear from you. Anders, Denmark. I don’t think so – the rig alone would take up that much time! You could possibly build a little paddler or rower in that time, but I think it would have to be rough and ready. I grew up in a boatshed, as a professional fisherman and surfing on the east coast of Australia. Now I know this question is relative can be related to experience and how much discomfort you are prepared to tolerate, and in that if you have no choice but die or punch 40 footers, you could probably sail a grand banks dory leeched and yawled up if you had to and were lucky, but as a 55 yo guy whose trade was made redundant by computers and then left stitched up by a divorce that cleaned me out soon after, what would the smallest sailing vessel boat you would advise for solo crossing oceans and global circumnavigations. Of course I’d love an Old maid of kent or 59 foot schooner but it aint gonna happen. Well not instantly and I’m not getting any younger. I’ve made fine violins I got good brass for and am exceptional with timber/lumber, and worked in a loft, slip and sail makers years ago in my teens, so with the right project, in drip fed expenditure, a good book to revise, I could possibly fulfill a dream, and without going into too much detail could use the morale boost of an adventure and perhaps something beautiful to pack up and live on as well. So what sailing craft would fulfill these criteria given restrictions as to where shes lofted up in your opinion please?. Any plans for a simple version of a gondola or sandalo? 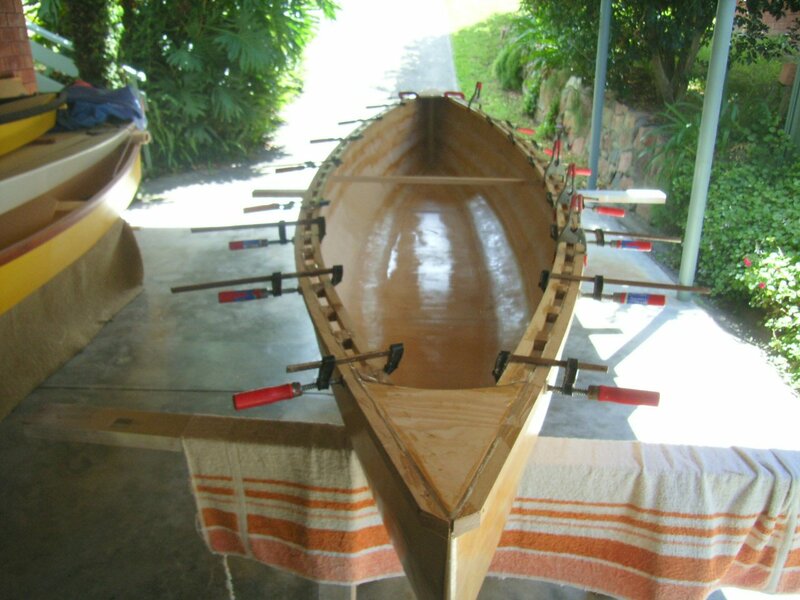 It doesn’t have to be asymetrical, but it has to look like a gondola or a sandalo, and be capable of being rowed venetian style–facing forward with a single oar in a forcola oarlock. I don’t know of any I’m sorry to say. It would be fun to find some though! You might consider lengthening it by 10 per cent or so. Would that give you the size you need? G’day.Just saw Greig Traynor’s request & suggest he look at the very successful designs on Sydney Australia’s David Payne on his website at:www.payneyachts.com.I have seen a number of finished boats of all sizes from David’s drawing board & they look & work great. 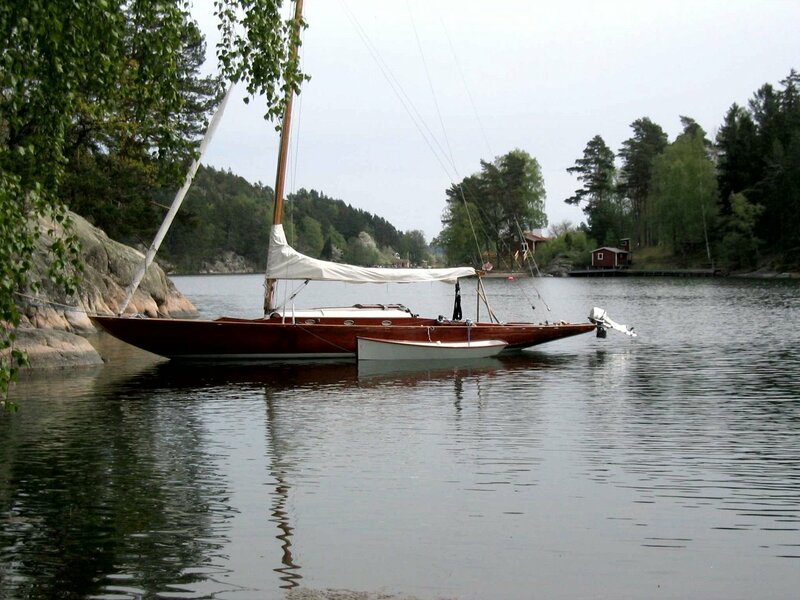 There are plenty of photos on the web including a slightly stretched version of the sort of design Greig is looking for,with a small cuddly cab fitted,on Ross Lillistone’s website at baysidewoodenboats.com.au. They can be built traditionally or as glued lapstrake. 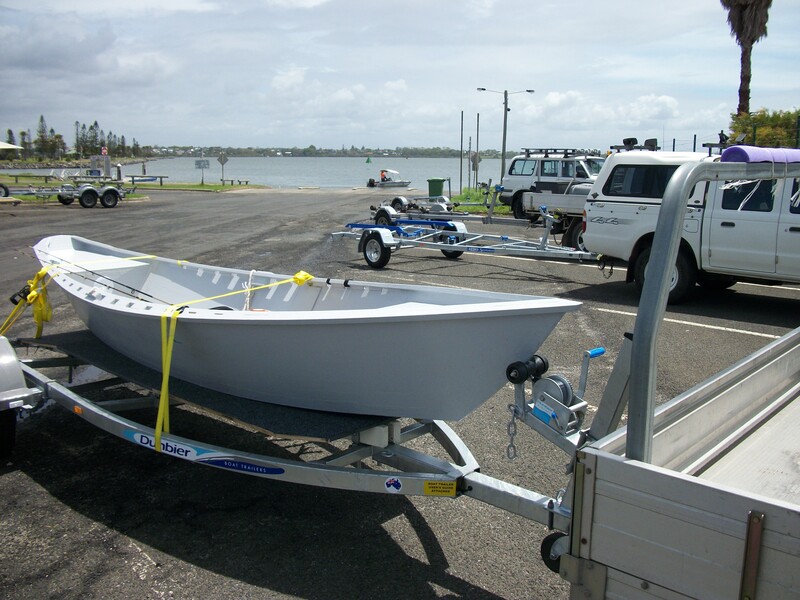 btw,the bloke who bought cinders contacted me a while ago to say he has just repainted her same colour & still fishes out of her.He owns a restaurant on the Central Coast of NSW just north of Sydney. That’s all great stuff. Thanks Allan! 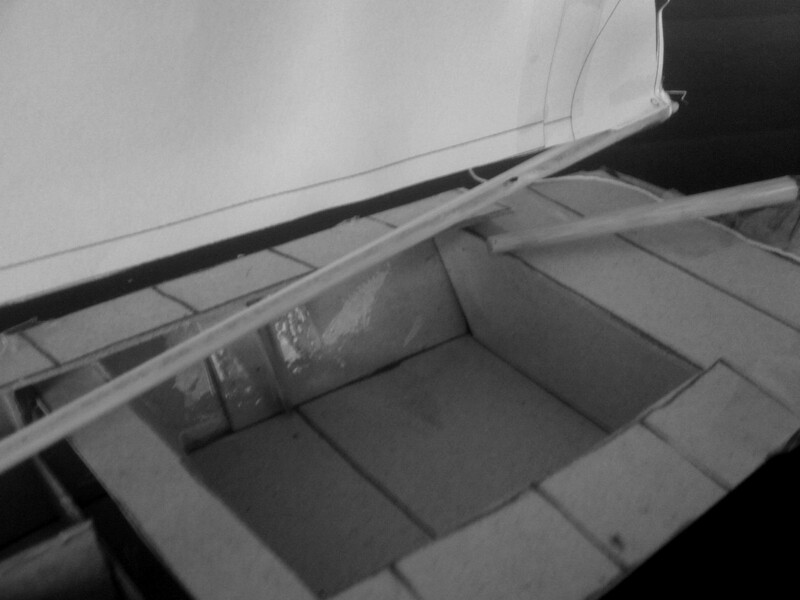 I’m looking at building a boat for the first time. I have minimal wood working experience, a dog house, simple stage sets, a few catapults 🙂 . I have built lots of r/c airplanes over the years so I should be able to work from plans. It doesn’t need to be “one boat to rule them all” or anything, just a small row boat, preferably car top able to get me started. Also needs to easally accommodate 250-300 pounds and handle some lake chop. I’m just guessing, but I’d say 12-18 inches peak to trough, maybe not even that much. 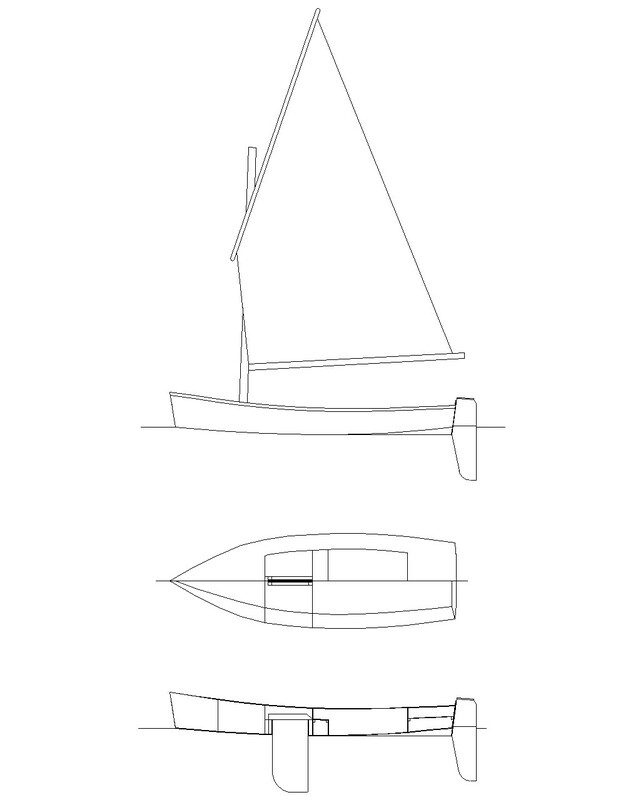 Later I plan on building a yawl or wherry for rowing, and an outboard skiff ( maybe v bottom ) in the 15-20 foot range for taking the family out. 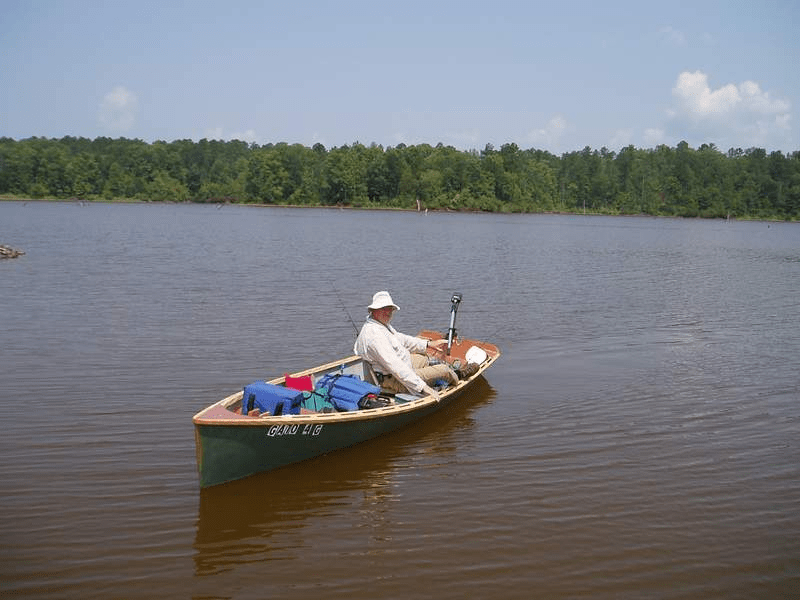 Seriously considering the Ella or Field and Stream skiffs. If you have other recommendations I’d be glad to hear them. That’s ngreat to hear and good luck with your project. I’d say the Ella would be simplest and most worked out. Thank you! Hope to get started soon. 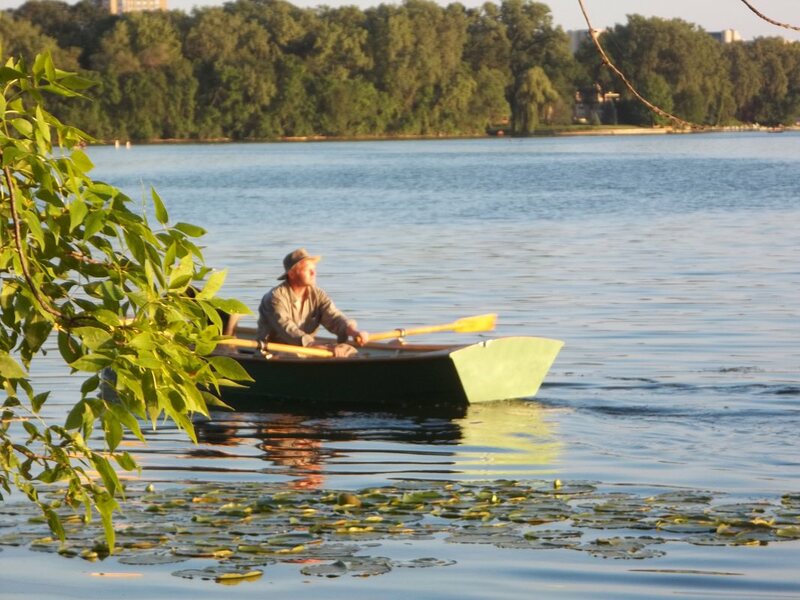 Rowing the broken down loaner John boats at my local lake is not all that much fun. At least gets me out on the water for now. You’ll find that even the the little Ella will take you to a completely different place. the Sunny and Julie even more so. 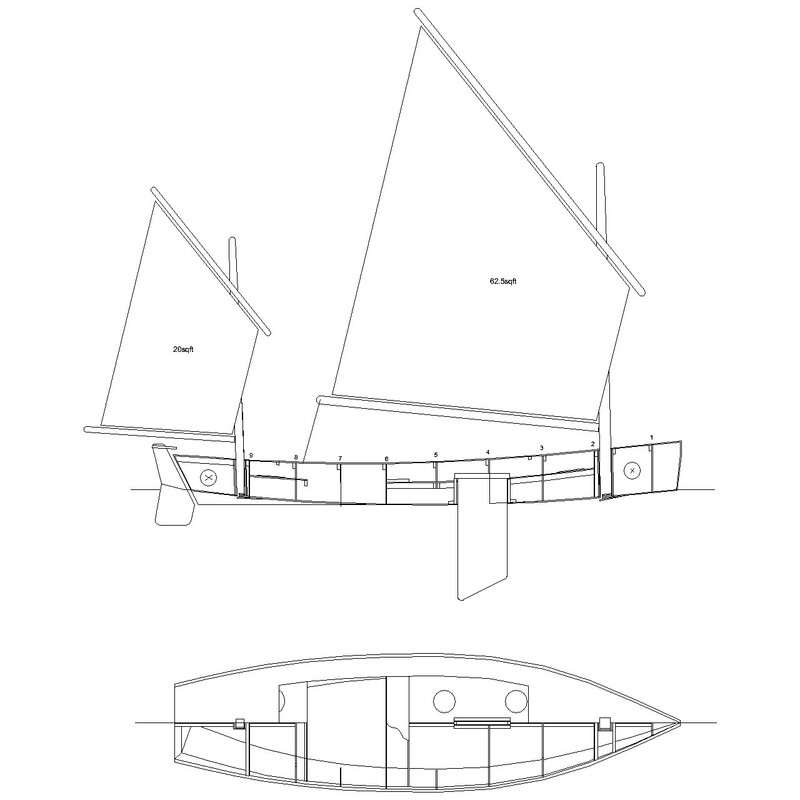 Hi Gavin, I really like your Ella sailing skiff design, but I was looking for a way to use less plywood. 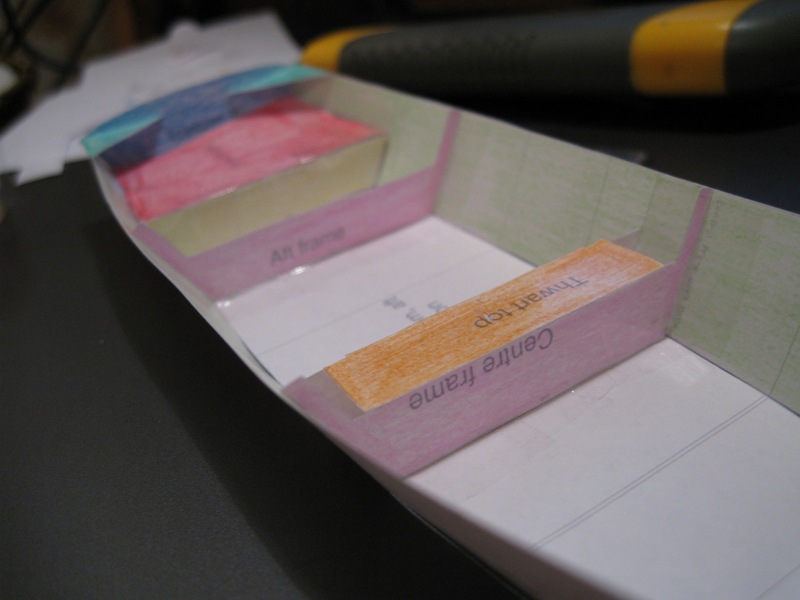 Would it work to use oak wood frames and only have plywood for the sections that need buoyancy frame 5 and 2, and leaving out the forward and aft side buoyancy tanks? Would this work or would this not provide enough buoyancy add to much weight? Weight wise it would be fine. I /think/ the built in buoyancy is about right – include less and you may find she’s a lot harder to bail. Why is economising on plywood important to you? There’s a few reasons, for one, I have never built a boat, haven’t sailed, but have been on boats before, motor and row, so I don’t know what is a necessity, and what is a luxury. Another reason is I’m trying to find the most amount of boat for the least amount of money that can take a couple people and gear along the gulf of Mexico on nice days. 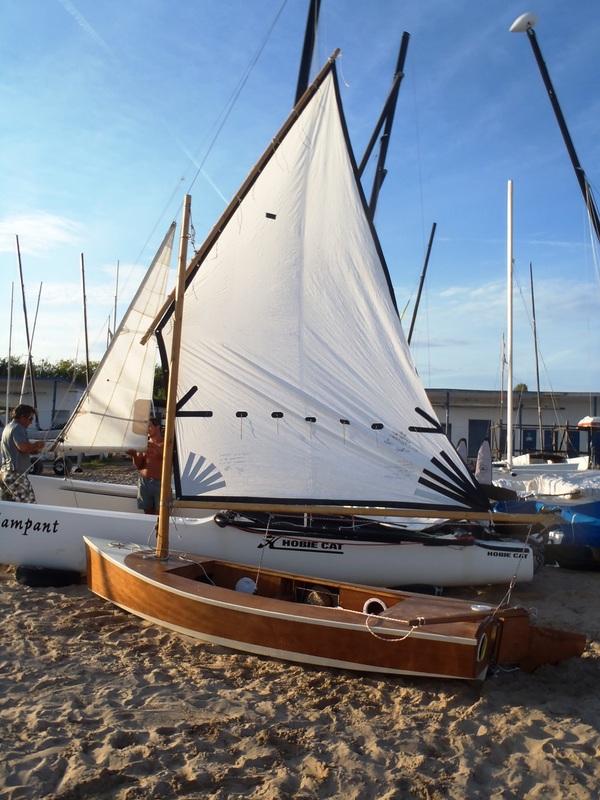 I want to use it to search around the keys, and on the rivers and lakes, but mostly as a boat I can car top or trail, take to the beach and learn to sail with near the beach. The waters on the gulf are choppy, but mostly calm, the waves are a foot or less most days, but can get to 3 or 4 on occasion. Also, marine ply is tougher to find and solid woods are found in any hardware store. I’ve looked at the Julie and light trow mk2, would any these work for what I want to do? I’m delighted by your interest in the Ella, the Julie and the Light Trow. Designers design-in the details of their plans for a reason and changing them is best done by the experienced. 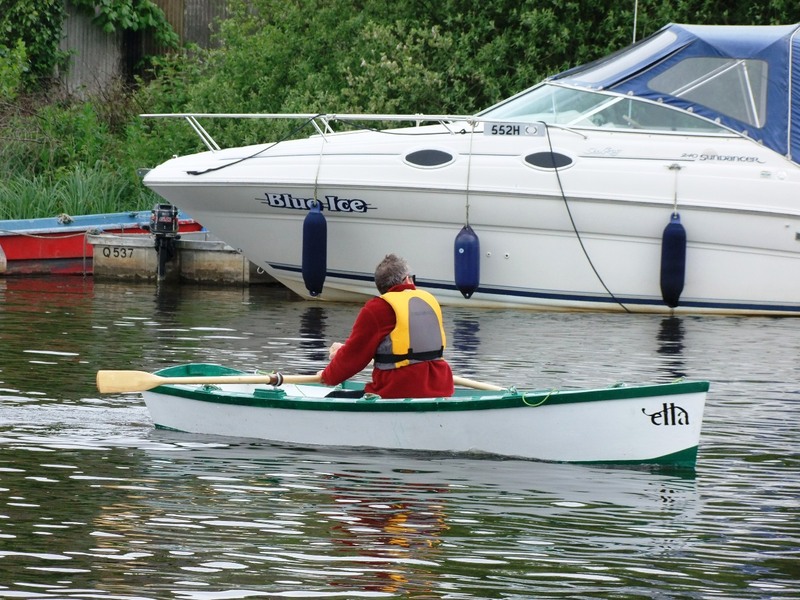 For example, the small bouyancy boxes in the sides of the Ella are there to make sure that the dinghy floats high enough to come up without too much water inside when righted after a capsize. You might prefer not to have them – but I’d want to right the little boat from a few capsizes before I decided they were unnecessary. Some people might feel that way – they may even feel that those spaces would be better used as handy pockets for bits of line etc, but I think you’d want to know for sure before making the change. I think most folks who design boats will make the same kind of point. Good luck with sailing and boat building! 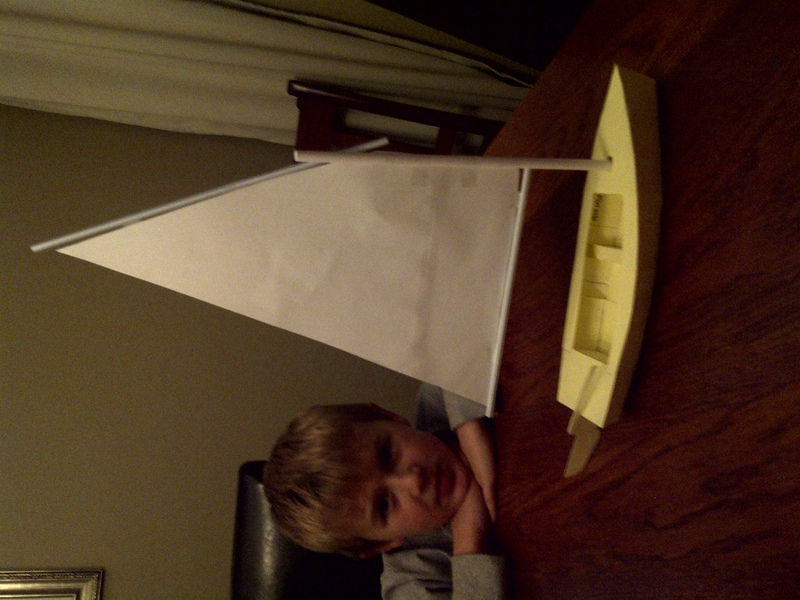 Gavin, I am hoping to construct a simple boat like the Light Dinghy shown above. can you send me a better copy of the drawing so that I can use it as a line plan. Gavin, was looking for plans to the Lilypad punt. Any blogs or posts of users and where they use them? I’m in American Midwest. It’s in the book only, I’m afraid.